City Parks Foundation makes parks vibrant centers of community through sports, arts, community building, and environmental education programs for New Yorkers across all five boroughs. We rely on the generosity of supporters like you to present our high-quality programs for free. There are a variety of ways to give. Your gift will help City Parks Foundation present free programs for the people of NYC. 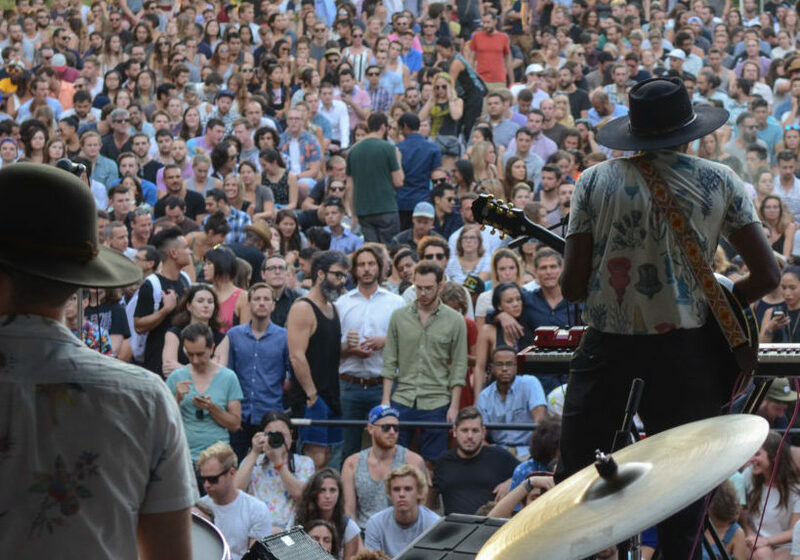 Enjoy the many benefits of SummerStage Membership at our Central Park venue and support New York City’s premier performing arts festival with events across all five boroughs. Become part of City Parks Foundation’s young professionals membership program and connect with CityParks Learn, CityParks Play, CityParks Shows and Partnerships for Parks through year-round events and volunteer opportunities. Join us for a 5k run, a round of golf, an exclusive evening of musical entertainment, a night at the US Open Tennis Championship, or Annual Gala Benefit. Connect with thousands of New Yorkers through City Parks Foundation’s unique array of cultural, educational, athletic, & community-building initiatives. Help keep our parks beautiful, provide a unique teambuilding opportunity to your employees, or learn how you can use our unique NYC landmark spaces. City Parks Foundation makes parks vibrant centers of community through sports, arts, community building, and environmental education programs for New Yorkers across all five boroughs. Donate now to support our work.